This quick and simple sauce goes great with spring rolls, grilled tofu, or on a veggie wrap! 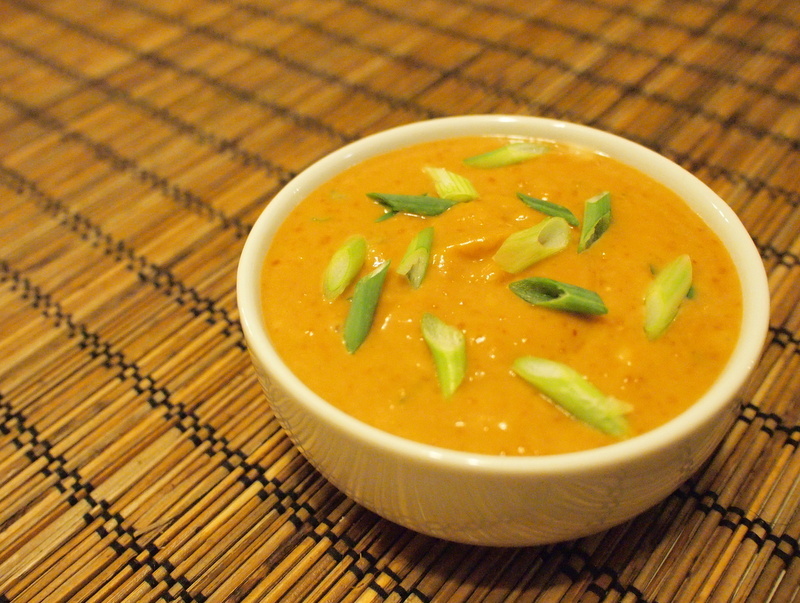 Combine peanut butter, soy sauce, spring onion, garlic, and chili in a small bowl. Stir in hot water, one tablespoon at a time, until the sauce is at the desired consistency.